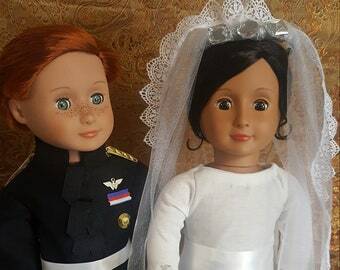 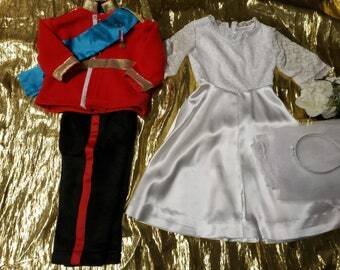 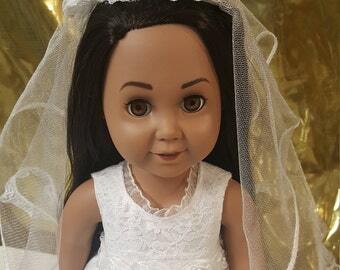 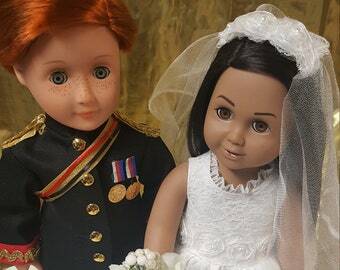 Presenting our "Royals Wedding 9-piece Doll Set" - Purchase this adorable 18" doll set and attire INSPIRED by Prince Harry and Meghan Markle - The Duke and Duchess of Sussex! 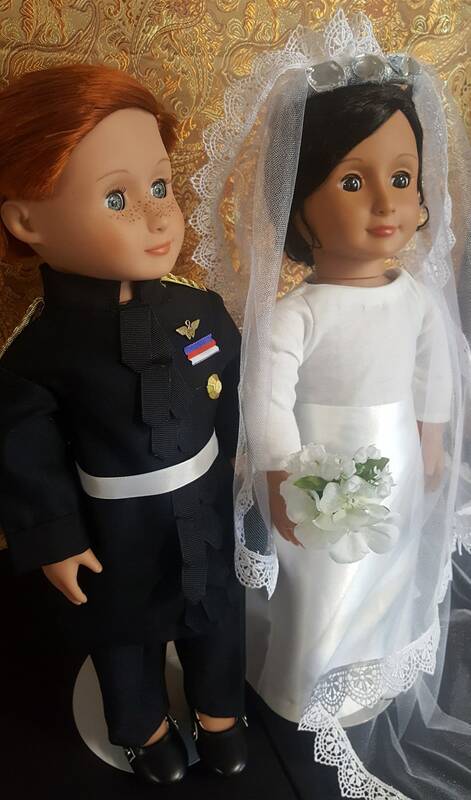 What a wonderful way for children and adults to commemorate, the wedding of the year - May 19th 2018! 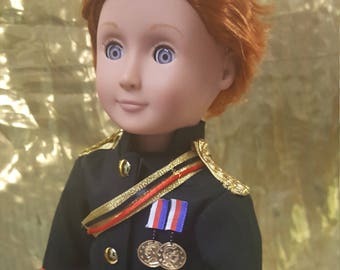 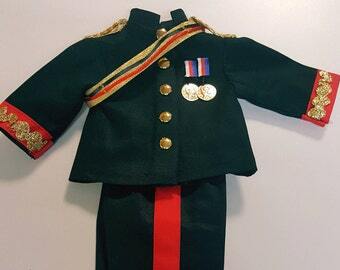 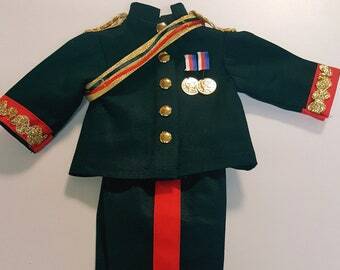 For my Prince Harry's INSPIRED ensemble, I re-created his 'Captain General of the Royal Marines' military uniform and now that the actual Princess Meghan wedding dress has been revealed, have created our version of her beautiful gown as well! 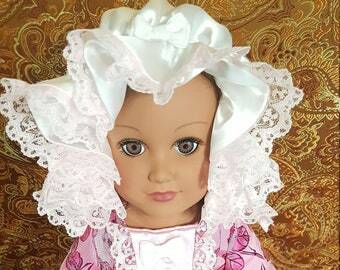 These adorable re-creations are for ENJOYMENT and DRESS-UP DOLLS, NOT designed as replicas! 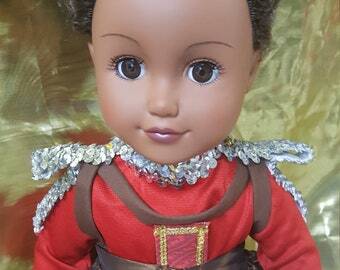 All clothing seams are finished for professional quality and lasting wear. 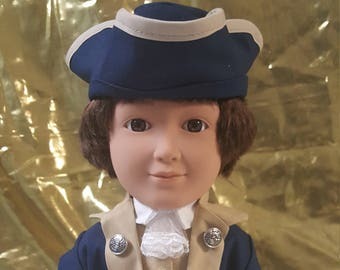 These MADE IN AMERICA outfits are handmade by our very own HistoryWearz™ shop owner in a smoke free, pet free home and office. Please Note: HistoryWearz dolls are acquired from standard quality manufacturers, then dressed in handmade, hand sewn clothing designed by our very own shop owner and seamstress. 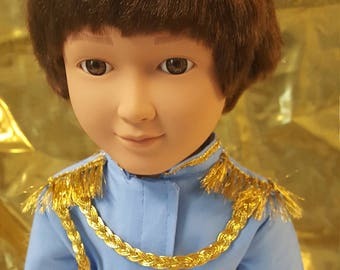 Her creations are inspired by and created to depict a real person's "iconic" ensemble from a historical or current event. 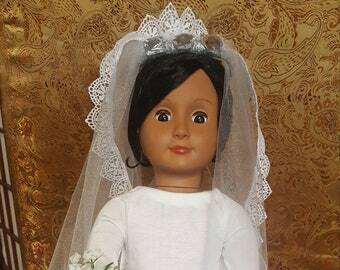 Each purchase includes a "Hello" greeting card of information about who the doll is dressed to depict, what they accomplished, and/or their impact on society!